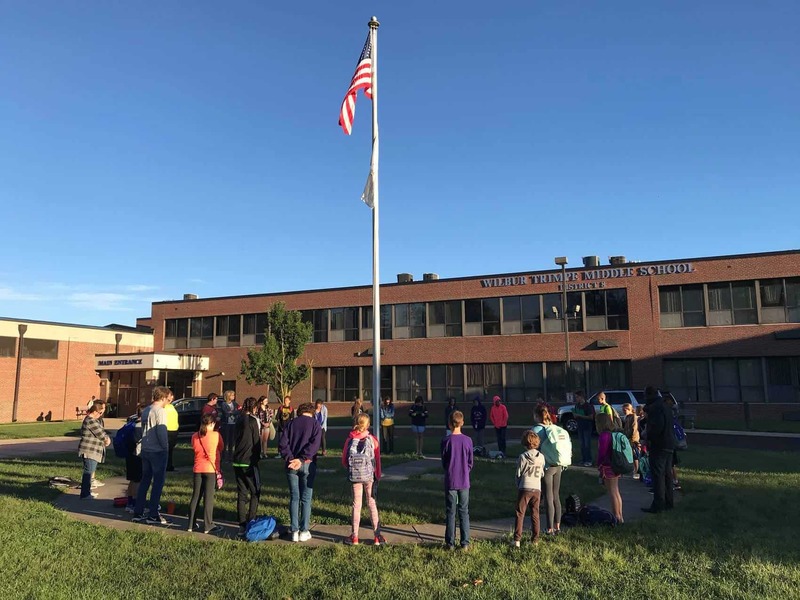 Before the school day started Sept. 26, tens of thousands of students across the country gathered around flag poles and lamp posts and in common areas on school grounds with one purpose: to pray. See You at the Pole (SYATP), an annual call to prayer for students since 1990, is an opportunity for young people to publicly express their faith and to intercede for their families, schools, and communities. In Bethalto, Tim Drury used the prayer emphasis as a way to connect students with their parents, in order to develop greater discipline in prayer. “SYATP can become more than an event in the life of a student,” said Drury, associate pastor at First Baptist Church, Bethalto. “It can become a tool for parents to teach and model prayer to their students.” Drury developed a guide for parents and their kids, and encouraged parents to attend the flagpole prayer events wherever possible. He also encouraged homeschooling families at his church to observe the prayer emphasis, gathering around their mailboxes to pray together. In Mascoutah, Matt Burton has organized previous year’s SYATP events at local schools. He said in a small town with a lot of churches, a large percentage of students go to church and are involved in a youth group. But as the culture around them changes, Christian students stand out. Students who want to be active in their faith beyond just attending church, Burton said, are less common now. That’s why SYATP is so important, said national coordinator Doug Clark in a Facebook video. “These are unprecedented and challenging times for students,” Clark said. “We all want a better future for our students, one that’s safe, positive, and fair for all. For some, prayer around the flagpole served as a reminder of immense spiritual need. Pastor Joey Krol drove his 16-year-old son, Timothy, to school early on Sept. 26 to participate in See You at the Pole. Timothy later texted his dad, who pastors Galilee Baptist Church in Decatur, to say he was the only one who showed up. For more information about the See You at the Pole annual prayer emphasis, go to syatp.com.